It is no secret that community associations are often targets for embezzlement. But they are not alone. Newspaper articles tell us that it happens to various types of businesses and organizations, even attorneys and lawyer/bar organizations. Fraud and embezzlement seems more likely to occur when no one is watching those that control the checkbooks. And unfortunately, many many condominium, stock cooperative and planned development boards of directors become too trusting and they don’t keep an eye on what their manager or treasurer are doing. We are often asked how much insurance a condo or coop association should carry. I often respond by saying as much as the association can afford. Here is a great example of a situation involving one of our firms clients (the facts have been altered to maintain confidentiality). A woman was trying to get into a condo association and the parking arm was stuck. She and her entourage were physically trying to get the arm to move when it dropped hitting her in the leg. It hit an artery and she almost died. She suffered some permanent disabilities and then she sued the association. Turns out the association knew about the problem and its maintenance guy had been fiddling with the equipment to get it to work. Long story short, there was little question that the association was negligent and the association’s insurance carrier paid out almost 3 million to settle the claim just before trial was supposed to start. The association had a $2 million general liability policy. Fortunately, the association also had a $1 million umbrella policy and with that additional money was able to settle a claim that had the potential for damages that could have exceed the association’s insurance coverage. This is just one of many other examples. So, what is an umbrella policy? Does your condominium, cooperative or HOA board know if and when it is appropriate to grant a hardship exemption, a variance from the restrictions in the CC&Rs? In a blog post by Donna DiMaggio Berger, a Florida Community Association Attorney, she discuses exceptions or variances granted to owners. Apparently in Florida they deal with some of the same issues we do. As Donna states, many boards want the leeway to grant exceptions when it comes to certain restrictions in their association’s CC&Rs, such as leasing or altering units or exclusive use common area, performing maintenance and allowing certain types of architectural changes or improvements. We see the same thing here in California. But often boards grant exemptions or variances without thinking about all of the ramifications. 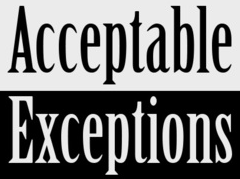 As Donna states, what many boards fail to understand is that any time an exemption or exception is granted, they are creating a precedent which may render their restrictions unenforceable in the future. 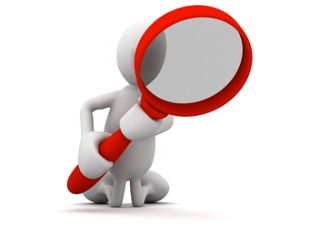 Does Your Condo/HOA Board Undertake “Due Diligence”? We community association attorneys are fond of telling boards of directors that they need to “do their due diligence” before making important decisions, especially those that may have a lasting impact on their associations. That being said, just how many board members actually understand what steps are needed to fulfill that directive? That was the question posed in an article on this issue by Florida community association attorney Donna DiMaggio Berger. Follow this link to her blog post.